Tennis has been played since 1873, it started in monastic cloisters in northern France when Walter Wingfield invented it. Tennis consists of 8 games in a match. It can be played as one v one, or as doubles teams. 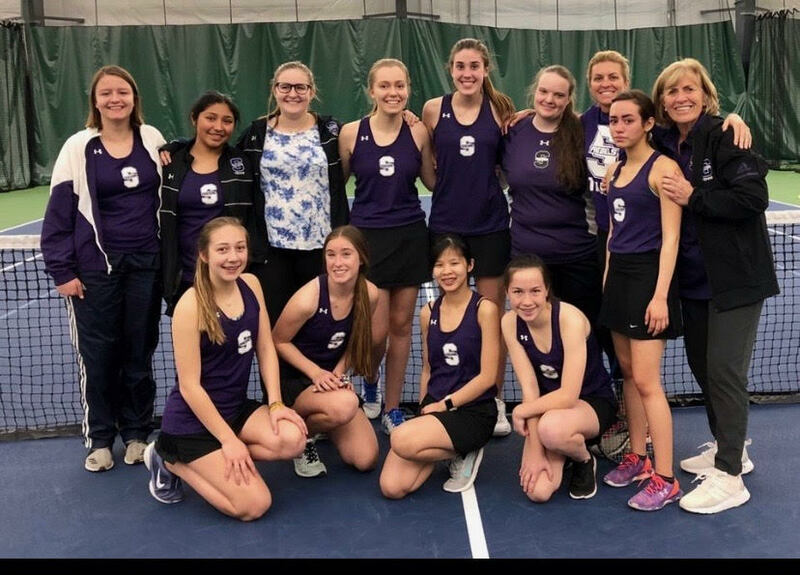 The South Girls Tennis team has not been going on for quite as long, however, the team consists of 38 dedicated and talented girls this year. With the varsity team having 11 girls. The girls have been practicing since January, however their official season did not start until February 25th. Because of the weather Colorado has been providing, they did not play their first game until Tuesday, March 19th which was well overdue. However, the South Girls did not let this set them back! The South girls varsity tennis team beat Northfield, with most girls winning their matches. Three girls played singles matches and the eight other girls played as four doubles teams. On Thursday, The JV team beat George Washington High School 5-2, with most winning games scoring 6-2. All the girls played with their doubles partners and braved the wind! Overall, the South high school girls Tennis team is off to a great start with two wins already. Varsity will spend the next week off of school getting ready for their upcoming matches, and Jv will be playing hard on Saturday for their tournament at Columbine. Go Rebels!